Anime Limited once-again chose to unveil their new license acquisitions at their own booth via an announcement wall; but while this may be the case the UK Anime Distributor still opted to host two panels throughout the weekend, with both panels unveiling new announcements, discussing future plans and accepting questions from the crowd. 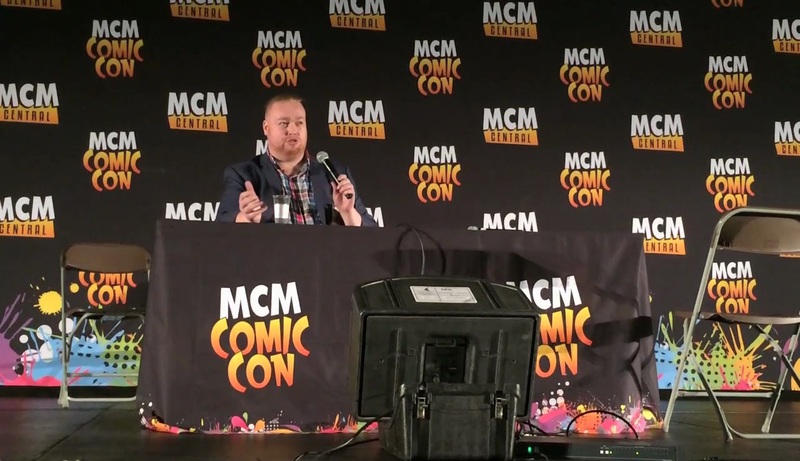 The panels were rather short, each consisting of around 20 – 30 minutes, with majority of the time spent informing attendees what ‘Anime Limited’ actually is as well as a rundown of their Ultimate and Collector’s Edition Blu-ray releases. In some instances the panels were mostly used for teasing auidiences, asking questions and getting the crowd to visit their booth. You can see both panels in our videos below. Anime Limited’s selection of license announcements come form all different avenues; some have been directly licensed by Anime Limited (such as Kiss Him, Not Me!) while others have been sub-licensed, or produced by, FUNimation. These announcements also sees the new Anime Limited x Crunchyroll partnership come into action with titles such as Rokka: Brave of the Six Flowers and Mob Psycho 100 being picked up for UK Distribution. In any event Anime Limited have obtained a wide-variety of anime series which, at the time of writing, have no clear cut indication of when they will be released and in what format. It’s also worth mentioning that the Collector’s Edition Blu-ray release of Eden of the East will feature the movies King of Eden and Paradise Lost to offer the ‘complete’ collection in a single box. Those who purchased the set at MCM can request the discs once they have been obtained and released by Anime Limited; but for the time being space has been left in the box for those that wish to insert the previously released Manga Entertainment discs.